Last Saturday was the opening of the latest touring exhibition to arrive at the Melbourne Museum, The WWI Centenary Exhibition. This exhibition is curated from the impressive collection of the Imperial War Museums (IWM) in England. There are five IWM and this exhibition includes over 350 items from those museums. It is also the first time in history that items from this collection have travelled outside of the IWM. Victorians are especially lucky, as the Melbourne Museum is the only Australian stop on this exhibition’s world tour. Way Back When was invited to review this exhibition and I was lucky enough to be among the many excited attendees on its opening day. This exhibition is immediately striking, not only because of its sheer physical size, but in the impressive scope of the content it attempts to cover. The exhibition encompasses the entire history of World War I, and while much of the content is derived from the IWM collection and is therefore UK and allied-centric, the exhibition maintains a holistic approach, highlighting how truly global this contest was. It is also refreshing during this time of increased ‘Anzac-ery’ to see a WWI centenary exhibition that neither glorifies the war, or the importance of Australia’s involvement in it. The first three themes outline the important background to how and why the war started; something that has been overlooked in many (not all) of our Australian centenary commemorations. Using maps, newspapers and animations, the political tensions of Europe in the lead up to 1914 are skillfully explained. I was particularly impressed by the use of historic newspaper headlines to illustrate a timeline of events. It seems that no expense has been spared in the use of digital technology in this exhibition, and, at $32.90 per adult ticket, visitors will expect high production value. Historic film footage helps to immerse visitors in the past. Some footage is created through the animation of still photographs, such as an English streetscape that has moving traffic and retrofitted WWI posters on the buildings. Each theme in the exhibition also featured a huge movie screen on which moving and animated footage played. The soundscape throughout is also impressive. The barrage of gunfire (a rapid firing German 77mm artillery gun, for those interested!) that hits and decimates a charge of men is a powerful representation of the scale of destruction. As well as weaponry in action, visitors hear other atmospheric sounds relevant to each theme that add to the immersion experience. While this might sound overwhelming, acoustically the sounds manage to stay mostly in the relevant areas, meaning that visitors aren’t distracted by other surrounding displays. The exhibition has enough military detail and artefacts to attract war buffs, but also a strong big-picture narrative to engage those with no background knowledge of the war. There are some impressive collection items on display, including a large selection of contemporary WWI artwork and photographs, which I found particularly interesting. There are not as many diaries or letters as you might be expecting, and those that are included are mostly facsimiles. The weaponry on display was very impressive, even for someone not particularly interested in guns. Dividing up the exhibition into themes such as ‘Feeding the Front’, ‘Beating the U-Boat’ and ‘Taking War to the Skies’, meant that rather than relating the major contests and heroic stories many of us are becoming increasingly familiar with, this exhibition is able to explore the impact of new technologies and changes in warfare, as well as social and cultural changes brought on by war, including changes to the roles of women. In fact, for the most part this exhibition steers clear of singling out individuals, focusing more on the overarching narrative. The exhibition features such a large number of excellent photographs and film footage of women working in factories and on the land, as well as facsimiles of diaries outlining their experiences, that I wanted to see more. Unfortunately the experiences of women seemed to be confined to the one theme ‘Feeding the Front’. While an exhibition cannot tell every story, I felt that having a stronger presence of the stories of women in the exhibition would have enhanced an already impressive display. The final two themes of the exhibition deal with armistice and aftermath in a poignant and compelling way. I was particularly taken with the audiovisual display in the ‘War’s End’ section, which included voiceovers from soldiers. However, it was unclear if these were original oral history recordings or actors reading from diaries and letters. I was very disappointed that it was unclear if these were original recordings or not. One of my major criticisms of the exhibition is that the labeling did not always clearly state where the material had come from. The film footage, for example, could have come from any number of British institutions – all of which were listed in the acknowledgements panel at the end of the exhibition – but not clearly on the exhibition labels themselves. The final theme, ‘Making a New World’ explored the complications of the Treaty of Versailles and gave hints about a second world war. It also addressed the impacts of war on society and the resulting physical and mental trauma experienced by many. This section of the exhibition provides an excellent introduction to the Melbourne Museum’s own exhibition Love and Sorrow, which provides a perfect complement to this exhibition. With the centenary of WWI dominating so much of our social and cultural space at the moment, you can be forgiven for feeling Anzac fatigue. One of the advantages of Love and Sorrow being on display for four years is that we can rest and reassess over the course of the WWI centenary and perhaps revisit the exhibition with new perspectives. The WWI Centenary Exhibition, however, is only around until October. Some of you may be feeling like a break from WWI history, especially those historians out there who have been working on projects relating to the war for the last few years. However, this exhibition is one that I don’t think we’re likely to see the likes of again in Australia. It is definitely one for historians to check out but I am also hoping those WWI enthusiasts – especially those on the committees organising centenary commemorations – go along and see the war from a wider, more global perspective. On Friday 29 August, Fiona and I attended the launch of WWI: Love & Sorrow at Melbourne Museum. We were excited to have been invited, and the opening and exhibition exceeded our already high expectations. Guests were well sated with an historically appropriate fare of chicken sandwiches, ANZAC biscuits and scones with jam and cream. We were treated to a moving live performance of 'The Distant Call of Home' by the Orbweavers, the theme song for the TV series 'The War That Changed Us'. It set the scene beautifully. Dr Marina Larsson, author of Shattered Anzacs and Honorary Associate of Museum Victoria, gave a thought-provoking introduction, reminding us that this exhibition in all its confronting, gritty and shocking detail contains stories that need to be told. Larsson emphasised that telling war stories fully and sensitively, without avoiding sadness and trauma, is a powerful form of respect. These stories - long buried by soldiers, families and the passing of time - are finally now, 100 years on, being uncovered. 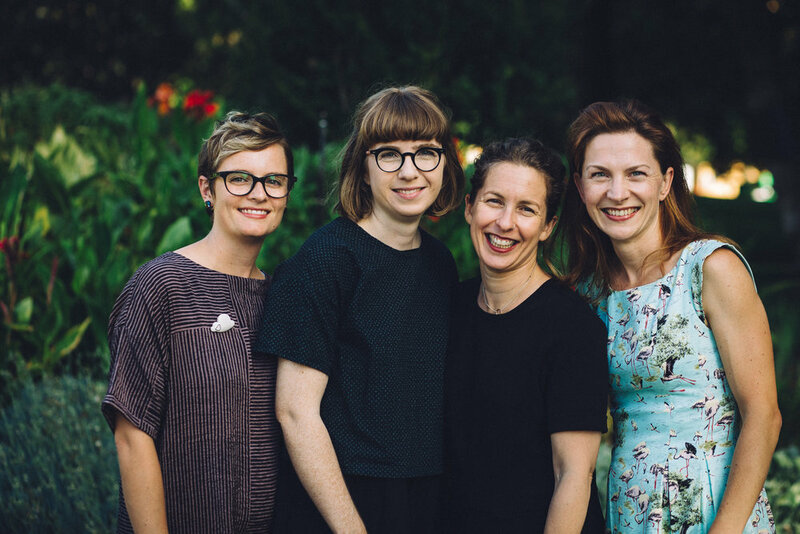 WWI: Love & Sorrow examines the impact of the war on Australian families through the stories of eight individuals, from a mother left devastated by the loss of her son to a teenage soldier who struggled with the lasting effects of his war experiences for the rest of his life. Through these eight people, we are given the chance to reexamine the war and its very real impact across generations of Australians. This exhibition is a refreshing reminder to all of us that in this time of prolific WWI commemoration activity, there are people and institutions willing to challenge the enduring ANZAC legend and to present for close inspection the devastating realities of war. The exhibition itself is not only impressive in the level of historical research and detail it brings, including close collaboration with families and evocative displays of letters, scrapbooks and other personal items, but it also impresses in the use of cutting-edge technology. While the accompanying smartphone app was not to be officially released until the following day, when the exhibition opened to the public, we were taken on a short tour by a museum staff member who demonstrated how the app works. Providing additional audio and visual material, the app allows visitors to engage more deeply with stories told in the exhibition. The creative mix of traditional story-telling with innovative technology makes this exhibition a truly personal and involving experience. Way Back When will definitely be going back for a closer look and we encourage everyone to do the same. WWI: Love & Sorrow opened at Melbourne Museum on Saturday 30 August. It will be shown for the duration of the WWI centenary, closing in November 2018. In December 2011, Way Back When was commissioned to curate an exhibition for the Counihan Gallery around a collection of incredible glass lantern slides created in the 1939 in celebration of Brunswick’s centenary. This collection of over 300 glass slides was created by local residents, led by Councillor CAJ Dollman. The collection itself has an interesting history, disappearing shortly before WWII and not reappearing until almost 60 years later. It presents a fascinating insight into the social and civic life of Brunswick at the time and is an important historical record – as much as for what it leaves out as well as what it represents. The exhibition displayed these amazing slides in a modern format (digital projection) aimed at mirroring what would have been the intended display (lantern projector). 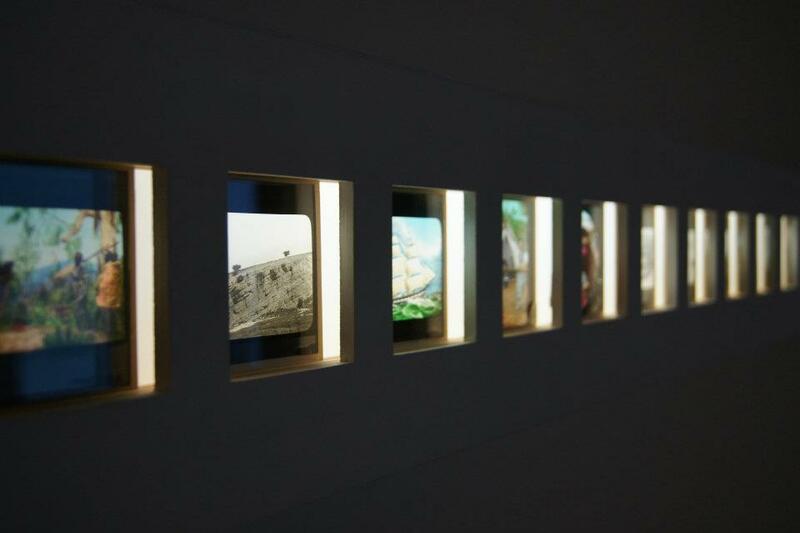 A selection of original slides was also displayed in a lightbox to show the actual size and intricate detail. In keeping with the civic spirit of the collection, the exhibition was launched by Cr Lambros Tapinos. The collection of slides is now held by the Moreland City Council. The highlight of working on this collection for me personally was the opportunity to work with such beautiful slides. I've always been keenly interested in art, so this was the perfect blend between art and history.